This work requires some patience and persistence, as the excised footage sometimes amounts to only a few seconds at a time. Not all of it has sound, and some potentially crucial moments exist only as still photos. It’s like trying to reconstruct an entire dinosaur skeleton from a single tibia and a few scattered teeth. At least this pieced-together Arkham Asylum sequence, featuring Leto with costar Margot Robbie, actually has some narrative flow to it. RedDawnHanger77 has also assembled a slightly longer version of a scene in which Leto’s Joker kills a guard. Die-hard fans will have to ignore the fact that the crew is visible for a few seconds here. Beggars can’t be choosers. 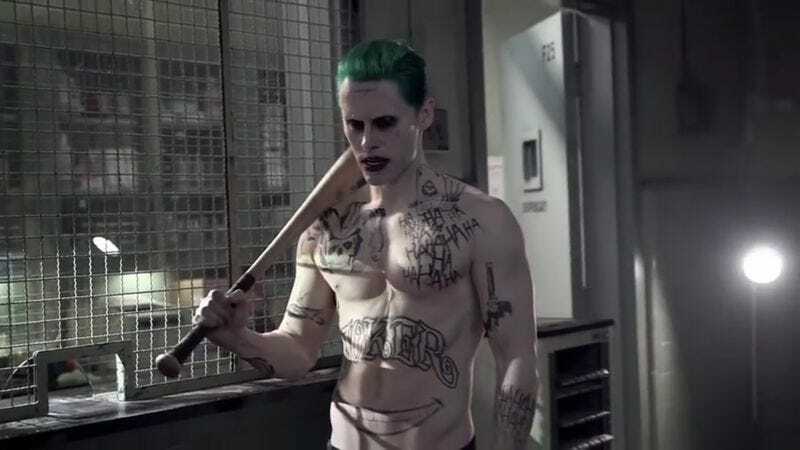 It may be cold comfort to Leto to know that, even though most of his footage got lost along the way as the film’s tone became lighter and less violent, his performance as Joker may be the one part of Suicide Squad that managed to capture the public’s imagination.